To see the products on our website please CLICK HERE. The AWE reference cinema at its HQ in Epsom is being upgraded with Sony projectors, and orders are being accepted now. 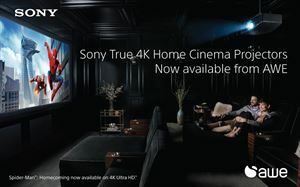 For more details and availability of Sony Projectors, please visit www.awe-europe.com call +44(0)1372 729 995 or email [email protected].